Thank You, God is a celebration of family and friends, of homes and food to share, and of the wonder of creation from the first light of day to the calm, peaceful night. This bright, lyrical new picture book, written by J. Bradley Wigger and illustrated by Jago, offers readers of all ages and backgrounds the perfect chance to reflect on all the things they can be thankful for. Check out our latest book trailer — for Thank You, God — below! “In this prayer primer, simple first-person messages of thanks accompany illustrations of multiethnic family gatherings — a beach stroll, dinner, campfire — along with majestic depictions of sun, moon, stars, and the natural world. 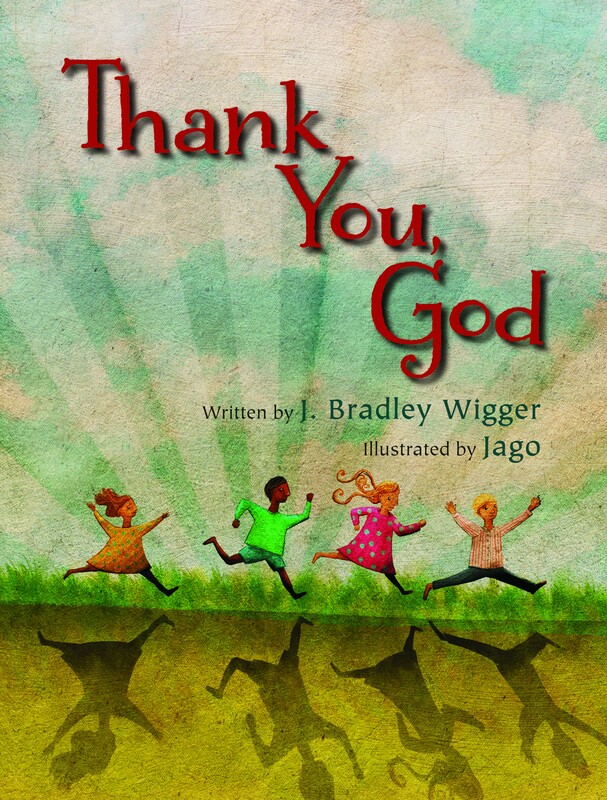 Click to order Thank You, God, written by J. Bradley Wigger and illustrated by Jago.